Evil Chef Mom:" I don't know." Kids, incredulous,"Ahh, come on Mom. What are we having for dinner?" 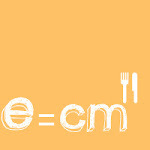 E.C.M." I really don't know." E.C.M. " So am I."